Did Star Wars Gobble ESPN’s Boxing Budget? Word is circulating around ESPN ranks that the network will present 12 of Al Haymon’s PBC shows this year, but so far only one is on the schedule – an April 14 card with fighters and location yet to be announced. Employees were also told the network may make a deal to do some shows promoted by Golden Boy. Or maybe not. ESPN is owned by the $175 billion Disney corporation. 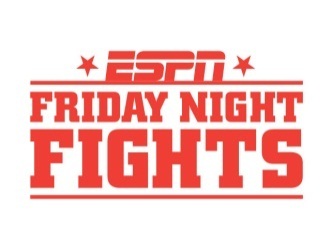 You’d think it could scrape up the funds to maintain its relationship with the key sport of prizefighting, but right now there doesn’t appear to be any plan to revive Friday Night Fights as a regular series you can count on. Well, the $4 billion Disney put up to purchase Lucasfilm, owner of the Star Wars franchise, had to come from somewhere. Haymon’s PBC, which came into the world nearly two years ago with a huge budget and great ambitions to dominate the sport, now limps along on an array of mostly small channels and far more subdued production values. Its war chest is clearly dwindling. But PBC can still boast of a talented stable and its pulse is quite detectable. With no crossover superstars to build a buzz, boxing stumbles through a rough patch. There’s probably more media attention paid to retired Floyd Mayweather than any active fighters. HBO, which used to be the face of big-time boxing, has only four shows slated for this year so far, and three of them are pay-per-view. These days the creation of PPV cards doesn’t necessarily signify fights that fans can’t wait to see. More often it means the network is unwilling to front sufficient cash. So the shows must sink or swim pretty much on their own. HBO is a subsidiary of the $72 billion Time Warner monolith. Its stock shares bounced up 34.5 percent over the past year, but its executives are loath to get behind boxing as they have in years past. As we speak chieftains of $249 billion AT&T are in Washington seeking government approval to swallow Time Warner. That deal might have something to do with HBO’s ragtag retreat from prizefighting. Remember those boxing shows on premium channel EPIX? History. Showtime is the bright bulb in the boxing constellation. The premium network isn’t dependent on the PPV financing model and has announced seven shows for this year already. They include a tasty welterweight title unification match March 4 between Keith Thurman and Danny Garcia that will be free to Showtime subscribers. Both are PBC fighters. Meanwhile, back at ESPN, the sport-savvy network knows what it has to do to be re-identified with boxing in the minds of the fans: Build good fights and the viewers will come.